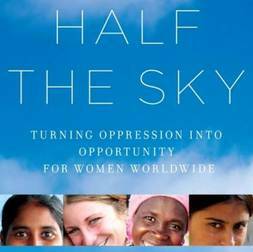 Half the Sky is a PBS documentary film inspired by the widely acclaimed book of the same name by Nicholas Kristof and Sheryl WuDunn. The film takes on a central moral challenge of the 21st century: the oppression of women and girls worldwide. The film is important in its entirety, so it is being shown in monthly segments throughout the spring series. In March, authors Kristof and WuDunn, along with actor George Clooney, lead us into the next segments of the film as they trace the evolution of the stories. Then we travel to Somaliland with Kristof, a New York Times journalist, and actress Diane Lane to meet a woman working tirelessly to decrease maternal mortality rates that are among the highest in the world. Through sheer force of will she confronts tradition by training midwives to provide care for pregnant women and by educating women to stop genital mutilation. As with other “Half the Sky” segments, this one will bring tears to your eyes, but it will also leave you with a profound sense of the incredible power that comes from women helping women.